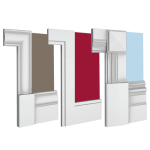 Apart from supplying standard profiles, we can cater to your specialised needs by offering a custom profile matching service that enables us to replicate almost any shape requested, from older heritage mouldings to customised designs. 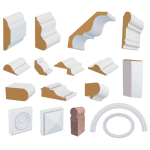 No job is too big or too small, and we can supply short run requirements for any architrave, skirting or accessory mouldings. 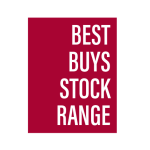 The profiles in this catalogue are available in a large range of sizes as illustrated. The Australian Moulding Company has for many years, been the leader in providing the most highly finished, ready to paint surfaces of skirtings and architraves within the industry. Our commitment to offering the best possible product has compelled us to research, develop and implement new techniques in our manufacturing process so we can still say today, that our range is not only the largest, but also of the best quality available. 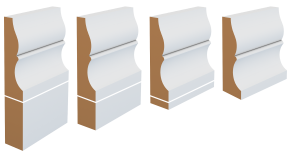 The priming finish sees the mouldings pass through a rigorous 5 stage process. This includes pre-sanding, priming of the first coat, sanding, priming of the second coat and then a final sand. The Ultimate Primed Finish allows for substantial time and cost savings. 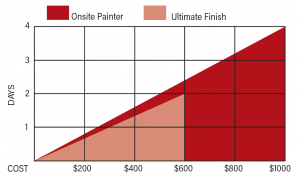 Ultimate Primed Finish comparison to an on-site painter for cost and time prior to final coat application stage. 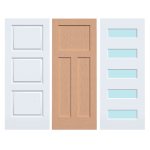 The comparison graph is based on an average sized home of 28 squares using 90 x 18 Architrave 60/5.4 & 180 x 18 Skirting 35/5.4. The Ultimate Finish is 90-95% ready for immediate topcoat application allowing for substantial cost saving. 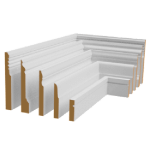 The standard material used for our mouldings is MR MDF however, we can manufacture your mouldings in a variety of timbers as shown below.